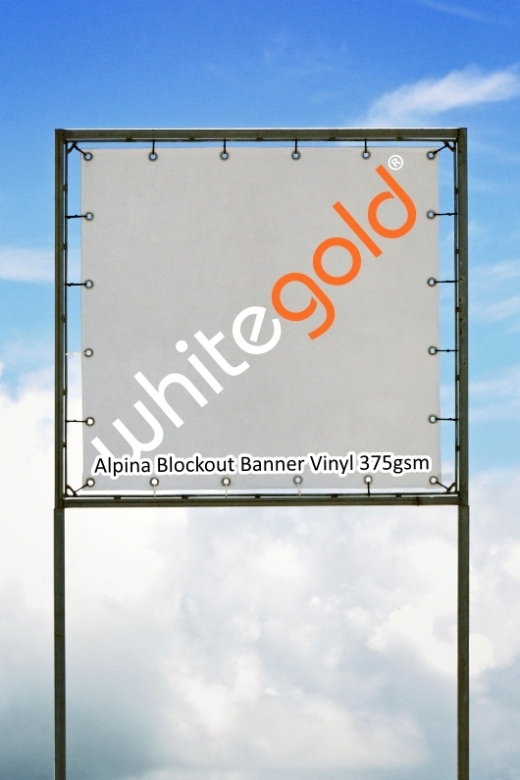 Alpina large format blockout banner vinyl 375micron enables printers with pigmented inks to produce professional weather-resistant banners suitable for up to 3 months outdoor use. This blockout banner vinyl is totally opaque, B1 flame retardent, tear resistant and quick drying. Alpina is also suitable for a variety of indoor applications. Available 1067mm wide on 15m rolls.